2017 – Darryl Binning A.C.S. Daryl’s fascination with the motion picture industry began in his pre-school days during WW2. On hot summers evenings, music and strange voices often wafted in on the sea breeze to his Bicton home. He discovered they were coming from the nearby Mayfair picture theatre outdoor gardens. At Richmond primary school he was allowed to operate the filmstrip projector and also ran “picture shows” at home to raise money for the school’s Red Cross appeal. On Saturday mornings he attended the Fremantle Hoyts children’s Cinema Club. At Fremantle Boys High School he graduated to screening educational films on its B&H 16mm projector. Daryl spent most lunch times in a bio box learning the basics of showmanship from his cousin Bill Angwin who worked as a projectionist at Hoyts Fremantle. Daryl’s early years were spent helping Stan Barratt at the Mayfair doing all sorts of odd jobs on Saturday mornings. By aged 17, most of his time was spent in the bio box on Friday and Saturday nights. Earlier he assisted his cousin and Bert Ivy, both Hoyts projectionists, rebuilding two Austral projection heads which they installed at the Spearwood Agricultural Hall. Daryl became the “automatic arc” on the ancient equipment. Bill’s also worked part-time as Exclusive Newsreels (WA) shooting 16mm film of local events for screening in the Mayfair Theatrette in Hay Street. Daryl often accompanied him on some assignments learning more about 16mm cameras and newsreel camera techniques. Daryl began an electrical apprenticeship as well as making home movies. He was engaged by the US Navy to document their research team seeking a suitable site for a new VLF station, eventually built at Northwest Cape. In 1961 he worked as cinematographer at the Aeronautical Research Laboratories in Melbourne documenting the development and testing of top secret weapons systems. Trips to Woomera were made to test fire a variety of airborne ordinance. This often required the use of high speed cameras which shot 2400 frames per second. In 1962 Daryl went to Port Moresby to establish Papua and New Guinea’s first government film unit. During his spare time Daryl began sending TV news stories to TVW7 in Perth and most other capital city stations and overseas TV news agencies. He then accepted an offer to join the ATN7 News team in Sydney. Assignments included the Vietnam protest marches and the Beatles concerts. Occasionally he was deployed back to New Guinea to cover special events as the nation geared up for independence. While in Sydney he joined the Australian Cinematographers Society. It became obvious there was very little TV or newsreel footage coming out of PNG during this defining era in its history so Daryl and his new wife Wilma decided to return to Port Moresby and establish the country’s first film production business. Before departing, Movietone news editor Frank Killian asked him to represent them and supply regular stories from PNG. Apart from producing a variety of films, some of which won awards in international film festivals, Daryl also supplied footage for Disney’s wildlife series as well as 35mm for screening in the General Assembly in New York of the UN independence inspection teams. A local “Queen” National Anthem featuring the Royal Papua and New Guinea Constabulary Band was produced by Daryl for screening in all PNG cinemas. With his pilot’s licence, he was able to fly to remote areas not accessible by land, and when back in Perth, used aircraft to economically travel long distances. 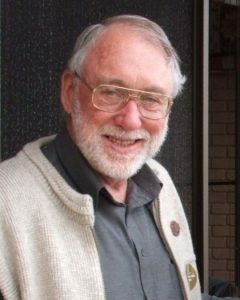 Returning to Perth in 1967, Daryl established the WA branch of the ACS. The Society granted Daryl accreditation in 1972, made him a Life Member in 1997, inducting him into the ACS Hall of Fame in 2004. He had earlier been accepted as a Member of the Australian Cinema Pioneers Society in 1988. Daryl also set up the Film Producers’ Guild of Western Australia and although no longer associated with it, established the Australian Museum of Motion Picture and Television. Initially Daryl worked for Cyril Cornish shooting film ads during the day and projecting at the Lakeway drive-in during the evening. Australian Movie Magazine had now replaced both the separate Cinesound and Movietone reels and Daryl liaised with Keith Redden at the Fox exchange to keep local stories prominent in the weekly editions. Burmah Oil Company engaged Daryl to secretly fly to their offshore drilling rig where they had struck a massive condensate deposit. This event was included in a subsequent documentary film he made for the company. Professor Julius Sumner Miller came to Perth to participate in one of a series of films Daryl made for CBH. During three decades involved in all facets of film production and manufacturing a wide range of equipment, he provided services to Channel Seven and Nine’s telemovies, The Scalp Merchant and The Newman Shame. He also worked on the locally shot features, Harlequin, Road Games and The Abba Movie. Daryl did extensive work for the BBCTV and other visiting international TV crews. By the late 1960’s the major cinema chains had abandoned Fremantle in favour of outlying Drive-ins. Peter and Rose Thomson had set up in the Fremantle Town hall but found they were running out of product. The popular and profitable Disney films were only available to cinemas which were affiliated with the distributor. Daryl accepted Peter’s offer in 1970 to take over the venue as his livelihood was not dependent on film exhibition. He arranged for questions to be asked in Federal Parliament of why Fremantle’s children were being denied Disney matinee product. Mr. Disney was not amused. Within a week, every independent film exhibitor in Australia was given access to this celluloid goldmine. Daryl established a specialised lamp business, travelling to factories all over the world gathering product knowledge. He has written several technical articles, some of which have appeared in the prestigious BKSTS journal, Cinema Technology. Since retirement he became involved in searching through hundreds of thousands of feet of 16mm TV newsfilm extracting items of historical significance before it was sent to the tip. Daryl has recently completed writing a story “Southwest Showmanship” on Allan Jones’ life and early travelling picture showman activities, the text of which was requested by the State Battye Library. Reflecting on his career, Daryl considers digital technology has removed much of the magic and hands-on aspect from the industry. He is thankful for being involved during an age when personal effort, expertise and ingenuity were the ingredients for putting on a great show. Future generations will never experience the satisfaction of true showmanship.